One of the plagues of our business society is the mistake that “confidence” is a clear independent indicator that someone actually knows what they are doing. Unfortunately, the amount of confidence a person displays is not directly correlated to how much a person knows. It only displays how much they think they know. A confident nature is definitely not enough to make them a manager and therefore a leader. Leadership qualities are in such short supply and the understanding of what qualities makes a leader are even in shorter supply. Consequently, the inept are taking the short cut of promoting the confident, regardless of their actual leadership qualities. Although confidence is a natural requirement of leadership, the quality of confidence alone is not nearly enough. A leader with confidence alone is like having an empty suitcase with nothing in it and thinking they are packed and ready for a trip. 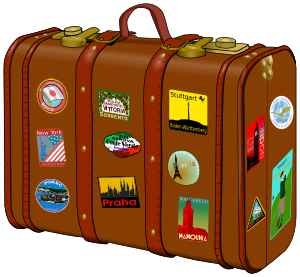 Once they are on the trip, subordinates will quickly recognize that they only brought a suitcase and have nothing else. They will wear the same clothes everyday, and soon they will need to start borrowing critical items from others to survive. Taking credit for other’s work, or simply not taking the time to point out the efforts of others, is a type of borrowing from someone else’s suitcase. People who have fully packed leaderdhip suitcases are confident that giving others credit will not diminish what they have, because they packed plenty of generosity and fair play. Plus they packed caring and compassion, and with all those mixed together they truly care about the careers and lives of those they work with and want to help them succeed. Havard Business Review published an article by Tomas Chamorro about this very subject. He suggested that many men are getting management jobs simply because they are more confident, and women are not getting promoted because they are not as confident. I have seen this mistake first hand in both women and men, but I admit it is more commonly found in men, and that is probably because there are simply more men still found in leadership positions to display it. It is likely just self perpetuating. I don’t think that gender alone is an inoculation for this. The lesson here is not to be too impressed by a display of confidence, it might just be a well designed trailer for a bad show or a nearly empty suitcase. Sometimes the larger the suitcase, the more likely it is that its empty. Its about the people!. Always and in all ways! ← True Leaders Cannot Be Bribed!! I have been following your comments for some time that you have been entering on your blog. Having been in leadership positions in different lines of work and service over the years I find your information and insight very informative and to the point. When we are willing to take information from others who have experienced situations that you have mentioned it will save time and hardships in management.